Best School of Diplomacy in Central Europe. Join now! Join the best school of diplomacy in Central Europe! 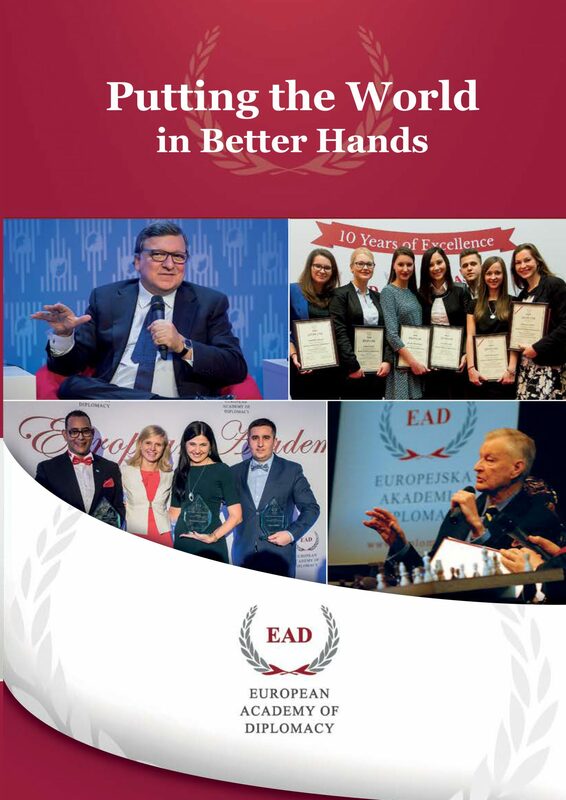 The Academy of Young Diplomats offers unique international exposure in a frame of 8 weekend sessions in Poland with recognized world leaders and peers from 60+ countries. The Academy of Young Diplomats is a school of diplomacy and leaderships for emerging global “movers and shakers”. It prepares future diplomats, civil servants and social entrepreneurs for international careers in a spirit of responsibility for the surrounding world. Addressed to senior students and young graduates, the program offers 70-hours of hands-on diplomatic training, a special workshop session, study visits and one study-session outside of Warsaw. Since 2004, over 2800 participants from 60 countries have graduated from the Academy of Young Diplomats. Over 100 AYD Alumni found work in the Ministries of Foreign Affairs of their respective countries. Others are employed in European institutions, international organizations, public administration and business. Since 2004 we have been developing and perfecting our teaching methods. The uniqueness of the AYD program approach lays in the emphasis put on the development of practical skills, which are useful in the future international careers of our participants. Based on this approach, the program is a mixture of theory and practice. Participants gain knowledge and experience that are not offered by other educational institutions. The participants of the Academy of Young Diplomats come from over 60 different countries in Europe, Africa and Asia. Each of our students – guided by the program values of global openness, social involvement and professional development – contributes uniquely to the program. The Academy offers a networking platform for young international leaders with similar interests, plans for the future and objectives. The intimate atmosphere of the Academy fosters a sustainable network of contacts. The friendships made during the program extend well beyond the graduation date. Apply for the PZU Foundation scholarship! Last two weeks to apply!